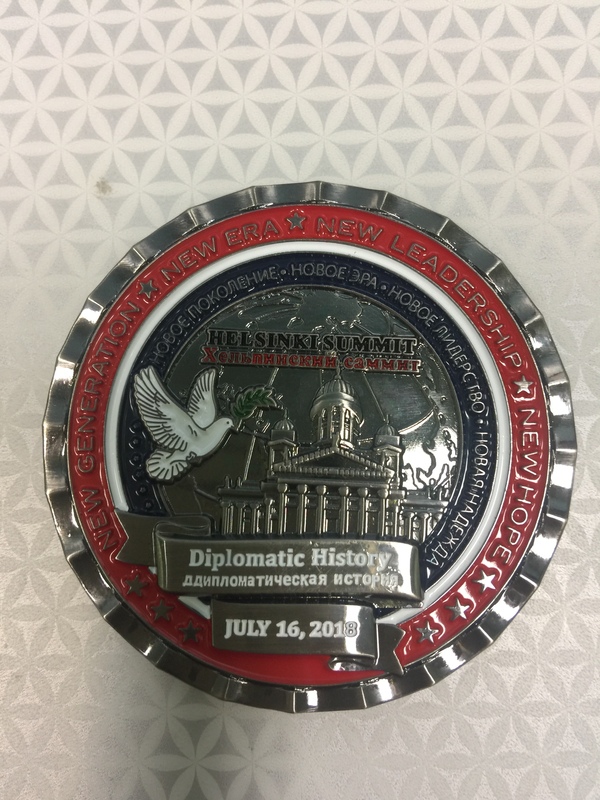 Recently, I purchased (online) a coin (number 3920) from The White House Gift Shop that commemorated the meeting between Donald Trump and Vladimir Putin that took place in Helsinki, Finland. Let’s say I did it for sentimental reasons. For those who speak and read Russian, I challenge you to find 4 typos in the text. In fact, 3 Russian words are written incorrectly. But that is not the end of it. 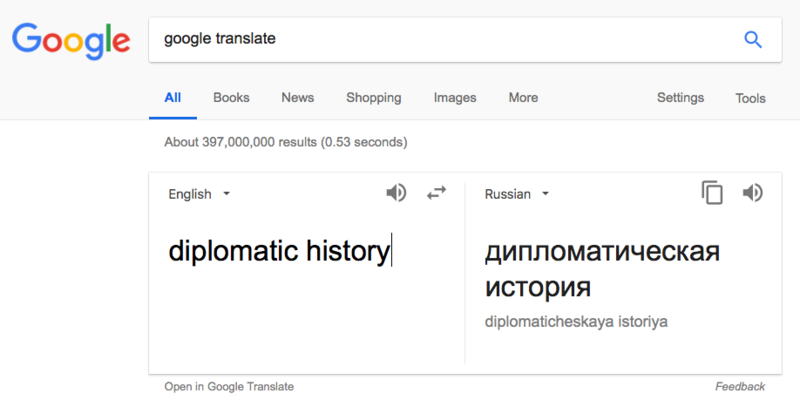 The translation of “Diplomatic History” into Russian is clearly not made by a native speaker. A native speaker would likely translate it into something that would mean “Historical moment” or “Diplomatic event”. What is written here in Russian means something like, “a story about diplomats”, or, “a story by a diplomat”, or, “a story about diplomacy”. But it does not have the meaning of a “historical diplomatic event” that the English words imply. So… how did they come up with a translation like this? Considering multiple grammatical mistakes made in the text, the Russian text was not written by a native speaker. And where do you look for a translation when you don’t have a native speaker around? Correct, Google Translate. Quick check on Google (see above) confirms the same translation (incorrect, too literal) as presented on the coin. Computer language translation is becoming ubiquitous and is now widely accepted as a “good enough” substitute to be used for nearly any occasion… well, maybe not for every occasion. This entry was posted in AI, artificial intelligence, machine learning, deep learning, Amazing technology, data, and people, Computers, Editorials, Humor, Money, business, investments, statistics, trends, Random and tagged computer translation, diplomacy, putin, trump. Bookmark the permalink.